Our Lord is a seeking God. He is very desirous for our fellowship. He will, as we seek to better know Him, create within us a hunger which will lead us into His manifest presence that we might intimately know, and personally sup with Him. 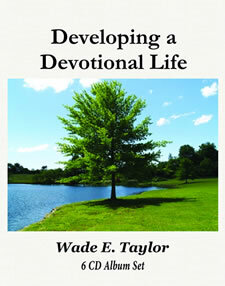 There is a present call from The Lord to "come up" into a higher realm of understanding and relationship to The Lord. We are living in the final hours of being made ready for our part in this time of transition into the Millennial Kingdom. 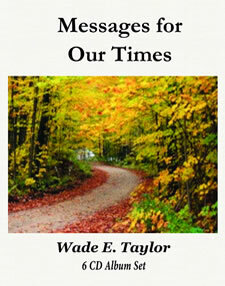 "Messages for Our Times" is a collection of the best teachings given by Wade Taylor in 2003. Our Lord is preparing a people to become His witness to the nations, in the closing out of the Church age and the birthing of the Kingdom age. 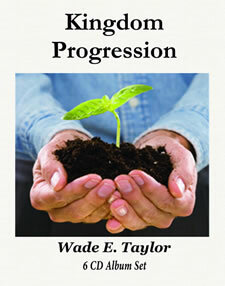 The timely, selected teachings are intended to present the anointed Word as spiritual food for those who desire to go further in their relationship with The Lord, and to be prepared to participate with Him in the outworking of His end-time purposes.